Over the past few seasons the Border League matches have been played on Sunday afternoons at Earlston High School games hall. 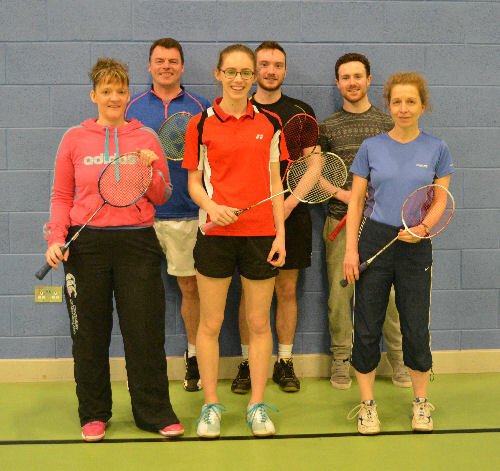 The towns that compete in the Border Badminton League are Berwick, Duns, Jedburgh & Hawick. Duns BC are the league winners for season 2016 - 2017 on games difference. Both Duns & Hawick ended the season on the same number of points with each team winning four matches but Duns finished with the superior games difference of 21 against a games difference of 13 for Hawick. Duns proved to be too strong on the last day of the season and won the league decider 7-2. The match between Berwick and Jedburgh ended with a 9-0 win to Berwick. Once again it has been a struggle for the teams to find enough competitive players this season and regretfully the first round of matches had to be cancelled due to a lack of numbers. Thankfully all the remaining fixtures were completed. Congratulations to Duns BC on winning the league title and to everyone who participated in the Borders Badminton League this season. All fixtures to be played at Earlston High School. All matches to start at 1:30pm prompt.